Personal Bankruptcy St. John's | FAQ | Noel R. Andrews & Associates Inc. 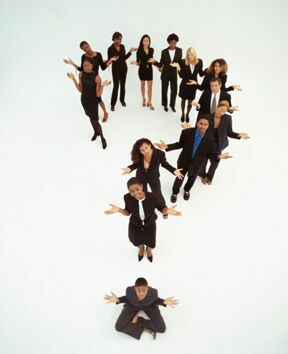 Frequently Asked Questions for Noel R. Andrews & Associates Inc.
Q: What is Personal Bankruptcy? A: Personal Bankruptcy is usually the last resort for dealing with your financial problems. Before getting to this point, you have probably considered some form of credit counselling and/or proposal to your creditors. If a Personal Bankruptcy is your best or only choice, creditors will stop calling you and demanding payment or garnishing your wages. Q: Can anyone file for Personal Bankruptcy? If this sounds like your situation, you can speak with our trustee by calling 709-722-5741 or 1-800-285-8870. This consultation is free of charge. Q: How long is a bankruptcy? A: A person going bankrupt for the first time will, in most cases, be discharged from bankruptcy nine months after the date of the bankruptcy. During the term of your bankruptcy, you are considered an “un-discharged bankrupt”. Should you seek credit greater than $1,000 from anyone during that period, you must advise them of your bankruptcy. Q: Will I lose all my property in a bankruptcy? Furniture which is necessary for the welfare of the bankrupt and his/her family, to a maximum of $4,000. Tools of the trade, to a value of $10,000, if these items are used by the individual in his/her trade or profession. One motor vehicle, having a value of no more than $2,000. The equity in your home up to a maximum of $10,000. Please note: If a creditor has taken a chattel mortgage or other lien on any of these items listed above, then the creditor can repossess this property and it will not be exempt from seizure. If you are unsure about this, please ask the trustee. Q: Will I lose my house, car, or major assets that I borrowed money to acquire? A: This is a question that most people in financial difficulty, facing Personal Bankruptcy, ask. The lender has a valid mortgage/lien on the property. There is minimal or no equity in the property. Your payments on the house/car, etc., are up-to-date, and you are able to continue making the payments. The secured creditor agrees to allow you to keep the property and continue making the payments. As each case is different, you should consult with the trustee on this matter. Please note: The equity in the property is the difference between what you can sell the property for (less expenses) and the amount that is owed to the secured creditor (lender). Q: Are students loans covered in a bankruptcy? A: As a general rule, student loan debt can be included if you have been out of school for seven years. This issue can be complicated, so you will need to discuss it with the trustee. Q: Will all my debts be included in my bankruptcy? Maintenance, alimony, or child support payments. Any debts that are incurred by fraud or misrepresentation. Fines, penalties, or restitution orders from a court. Q: Will I have to make any payments to the trustee during the term of the bankruptcy? A: It may be necessary to make payments to the trustee over the term of the bankruptcy. These payments may be to cover the trustee’s fee or, in the case of surplus income, for the benefit of your creditors. The Federal Government has prepared a guideline that is used by the trustee to determine surplus income. It takes into consideration your total net family income and number of dependents, as well as non-discretionary payments (ex. : child support payments). During the term of your bankruptcy, you must submit a monthly statement of income and expenses. From these statements, the trustee can determine your disposable income and whether or not any surplus income payments are necessary. Q: What other obligations do I have during the term of my bankruptcy? Provide the trustee with all information necessary to file income tax returns with Canada Revenue Agency. The trustee is obligated to file both Pre-Bankruptcy and Post-Bankruptcy Returns in the year of your bankruptcy and may also file any previous returns that you have neglected to file. The trustee will advise you on this matter. Assist the trustee in disposing of any property in need of it. To generally assist the trustee in the administration of your estate. Attend (in person or by telephone) two counselling sessions with the trustee. These sessions are mandatory, and your discharge may be delayed if these are not completed. These sessions are designed to assist bankrupts in recognizing the causes of their financial difficulties and help to enable them to better manage finances the future. Q: How do I get discharged from bankruptcy? Student loans where the bankrupt’s end of study date is within seven years of bankruptcy. Please note: The trustee, the creditors, and the Superintendent of Bankruptcy have the right to oppose the discharge of a bankrupt. This usually occurs only if the bankrupt has not cooperated with the trustee during the term of the bankruptcy, has committed some form of fraud in acquiring credit, or for any other valid reason. Q: What does it cost to go bankrupt and how are these fees paid? A: The majority of personal bankruptcies are “Summary Administration” estates and the fees charged by the trustee are set down in the Bankruptcy and Insolvency Act. A first-time bankrupt who does not have surplus earnings will pay approximately $1,500. The trustee may require a portion of this to be paid in advance and agree to allow the bankrupt to make periodic payments over the term of the bankruptcy. Whereas every estate is different, this matter should be discussed with the trustee. Q: What is a consumer proposal? How do I know if this is right for me? A: A consumer proposal is a process by which an individual may make an arrangement with their creditors to make some repayment of debts owed rather than proceeding to a personal bankruptcy. While the trustee can provide you with the details for making a proposal, in order for it to be successful it must provide the creditors with a greater return than they would hope to receive if you were to proceed with a personal bankruptcy. When considering making a consumer proposal, it is necessary to have a steady income or third parties (parent, friend, etc) who will provide you with the funds necessary to settle your debts. The amount of money required for this process will depend on your personal situation and the amount owed. The trustee will discuss these and other relevant factors specific to your situation.